Here at Stockdale Martin, we love Christmas! It didn’t take much convincing for us to deck ourselves out in our fun and festive Christmas jumpers – check out Gary’s very special light up fireplace! 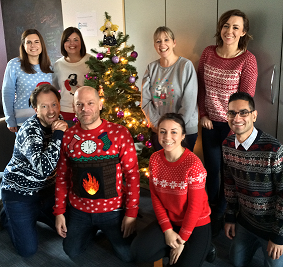 It’s all in aid of national Christmas Jumper Day, organised to raise money for Save the Children. If you’d like to donate to the cause, text WOOLLY to 70050.